Epoxy flooring has proven to be a popular option in garages and warehouses, but what about outdoors? Is it acceptable to use epoxy flooring outdoors, and, if so, under what conditions? We’re glad you asked that. When complete, this beautiful, slip-free walkway will sweep up to an epoxy wraparound porch. Epoxy flooring has proven to be an amazing option for a variety of outdoor applications. Here are some of the reasons homeowners and businesses opt for epoxy flooring outdoors. Curb appeal is an important part of neighborhood ambiance and property values. Concrete is a great hardscape, but in and of itself doesn’t add any particular appeal to the property. The colors available in epoxy flooring mean that it can be made to match existing architectural styles and features, either by blending seamlessly into the architecture or adding a bolder element. It transforms regularly concrete into an appealing addition to the outdoors. Epoxy flooring can turn an expanse of ugly concrete or a walkway into a delightfully attractive alternative. But it’s also cleaner than straight concrete. Concrete dust and stains become a thing of the past. Epoxy flooring is also easy to clean when it does get dirty, which means it continues to be visually appealing over time. One of the most beautiful applications of epoxy flooring outdoors is when it is used on a patio or porch. Besides being cleaner than concrete, epoxy flooring also sets off a patio or porch beautifully, giving the area a special appeal. Higher appeal means friends, family, and customers will want to spend more time on the patio or porch. For a homeowner, this translates to expanded living space. For a business owner, this translates into sales dollars. 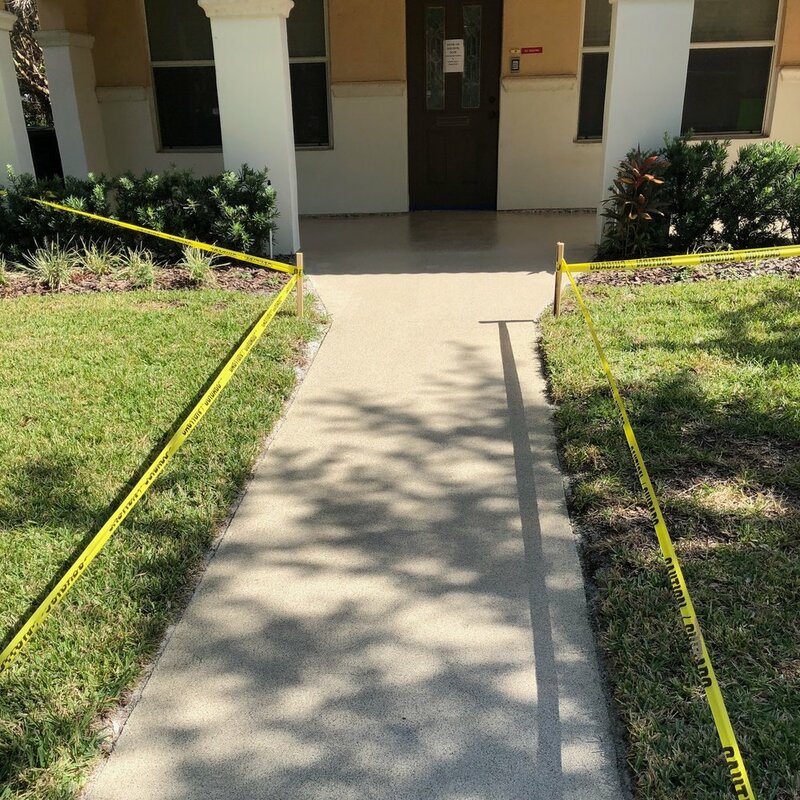 Epoxy can be created to be a non-skid surface, which makes it a viable option for around the pool and other areas where the potential for water can make walking unsafe. Epoxy is UV resistant, as well, meaning you don’t have to worry about the toll sun can take on the surface. We just want to point out that epoxy coating doesn’t dry, it cures, so it’s a different material than paint or stain. This, it responds differently to the elements than paint or stain, which tends to flake or chip in the outdoors. If you are considering upgrading your hardscaping, why not opt for epoxy flooring? 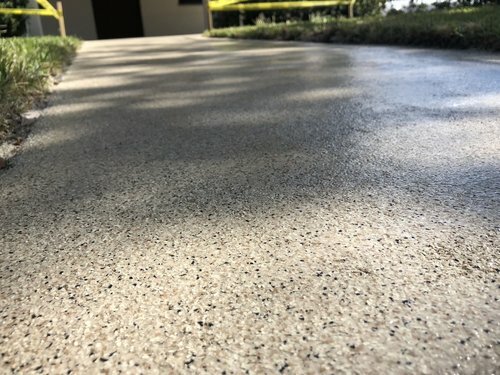 Clean, beautiful epoxy in a plethora of colors can provide a clean, skid-free addition to concrete, which is actually 800 times stronger than concrete alone. These features mean epoxy provides viable solutions to some of the problems of concrete alone. Older PostWhy Opt for Epoxy Flooring Now?